Decimals are only a fraction of a comprehensive math program, but they are very important for real life! 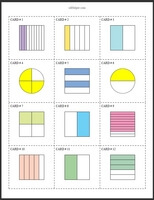 These worksheets cover decimals from tenths through thousandths in practical, visual ways that are easy for students to understand. Create and customize mixed review sheets for all students to solidify this important math topic. 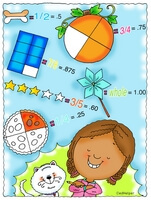 Addition Math Box from Math Box Puzzles! Decimal Addition Sequences from Sequences Puzzles! Build a Mixed Review Worksheet!